I am a Performance Nutritionist with over 10 years experience in the industry. I specialise in working with people who have previously tried and failed numerous times with other mainstream diets. They have the motivation for change but previous diets have failed them. My clients are not freaks that ‘normal’ diets don’t work on. They are normal every day people who want to look better in photos with their family or to feel confident on the beach on holiday. They want to be able to fit into a dress for a Christmas or Birthday party or to be able to enjoy feeling fitter and healthier in their lives without the restriction of a ‘diet plan’ looming over them. 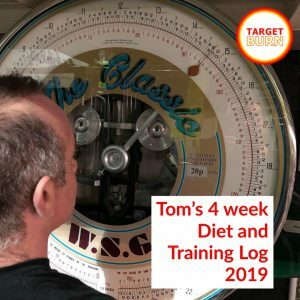 In January 2019 I applied all my own methods that I use with clients to my own 4 week photoshoot prep diet. Read about all the methods I used. The ups and downs and how I managed them to prepare for a promotional photoshoot and get into great condition in only 4 weeks. How does my method differ from other diets? I believe that real change comes from helping my clients understand the subject of their nutrition better. Someone who knows why they are doing a certain job or activity, along with the change that will come from it, will be much more likely to work towards that change and be able to visualise their results. Mainstream diets do not educate the client. After all if the client gains knowledge on how to diet effectively then they won’t need that diet program any more. They work against the client to addict them to their program so that the client loses weight when on the program but then gains it all back again afterwards. Looking for fast results and immediate change? Would you like some free help with your nutrition? I have a free nutrition group email where you can ask me any questions you have about nutrition. I have worked with clients for over 10 years to help them change their bodies and become more confident and happy with their appearance. I am a certified Applied Sports Nutritionist with the ISSN which is a post graduate professional qualification. I have experience with many clients in special situations such as eating disorders, PCOS, insulin resistance and have helped them overcome previously ineffective diet plans and crash diets that result in rapid weight gain afterwards. If you’ve tried any of the fad diets or celebrity plans you’ll know that they are sometimes unrealistic to follow. We will discuss your lifestyle and eating preferences and construct a plan that is realistic and you are able to follow. Foods will be ones you choose not forced on you to eat. My working style is to help clients to understand nutrition better. My ultimate aim is to give you the tools to eventually feel confident in managing your own diet so that the weight you lose stays off. I’ll explain things that we do so you can understand why we do them. The simpler we can make things the easier it is for you to follow it.